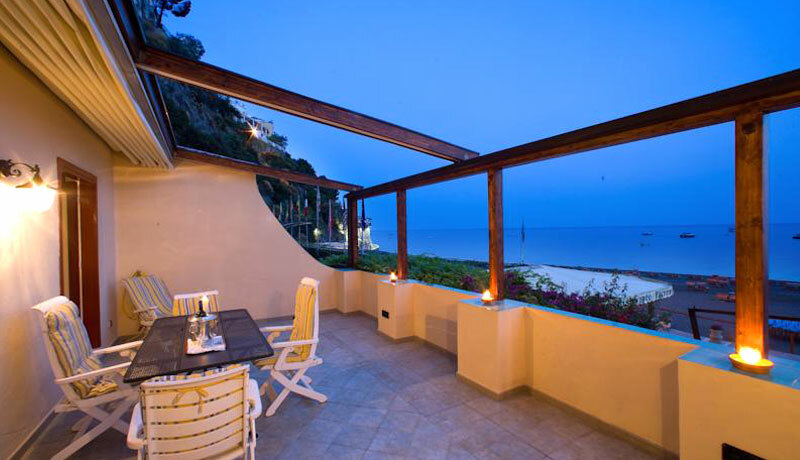 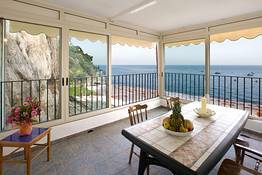 On Positano's Spiaggia Grande beach, La Caravella is just the kind of place dream holidays on the Amalfi Coast come true - and not just in the summer: this sea view residence is open 365 days a year! 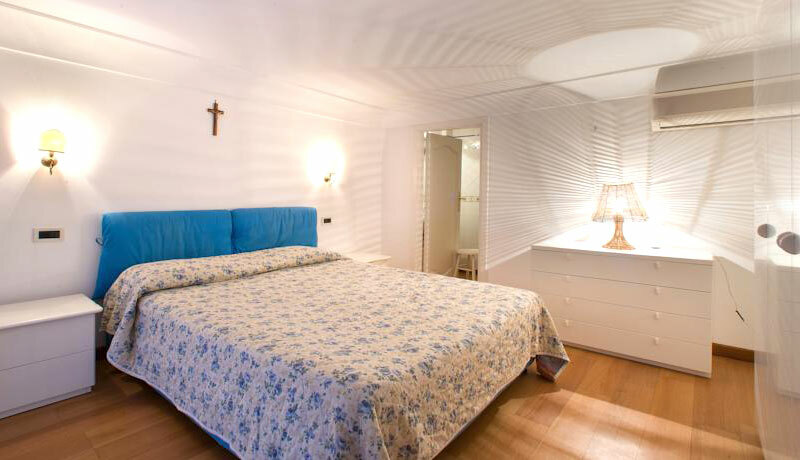 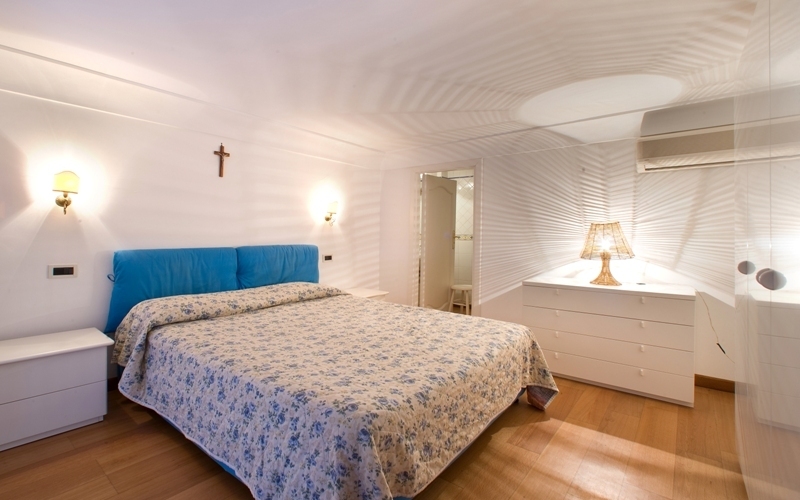 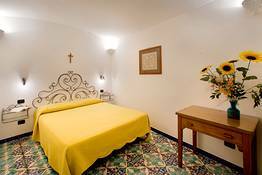 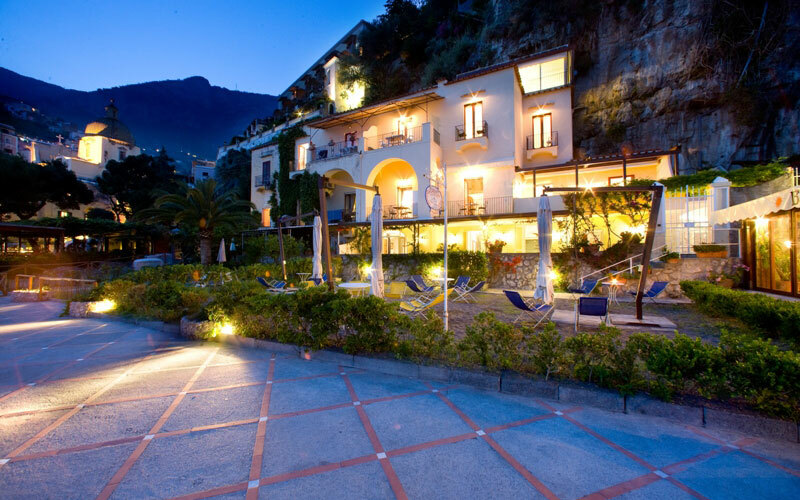 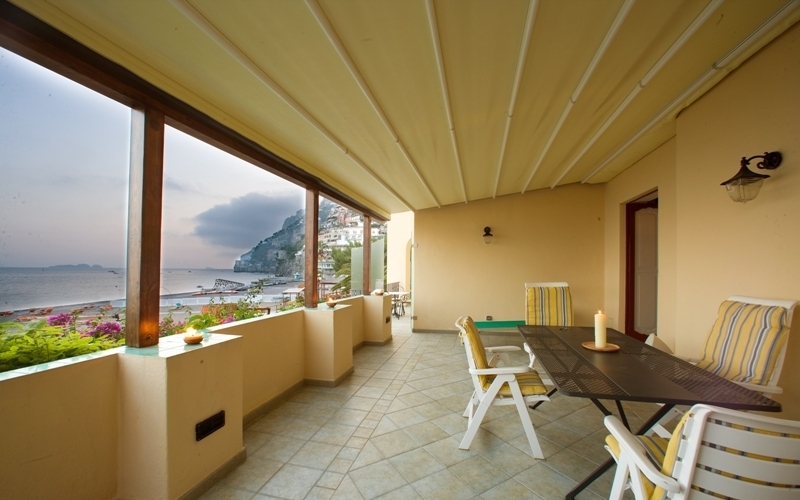 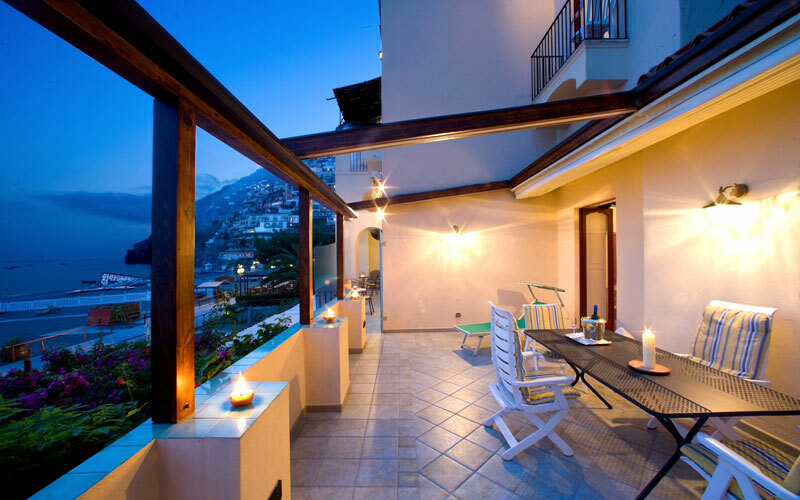 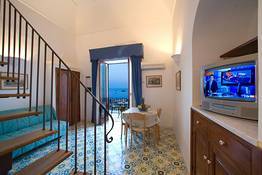 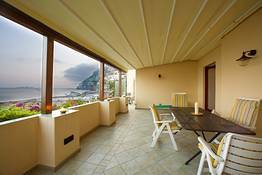 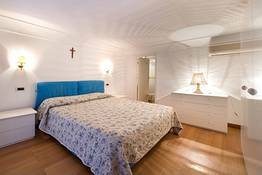 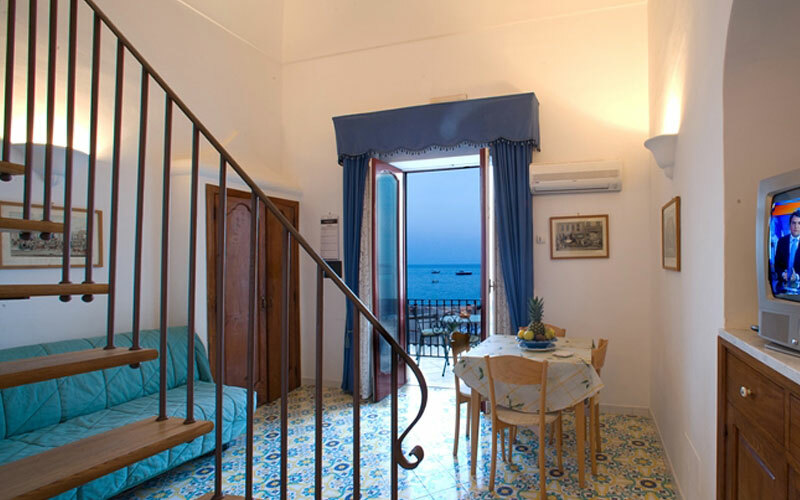 La Caravella Residence provides quality guest accommodation in 12 apartments, located within steps of the beach and the historic center of Positano. 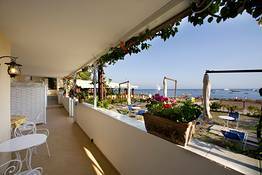 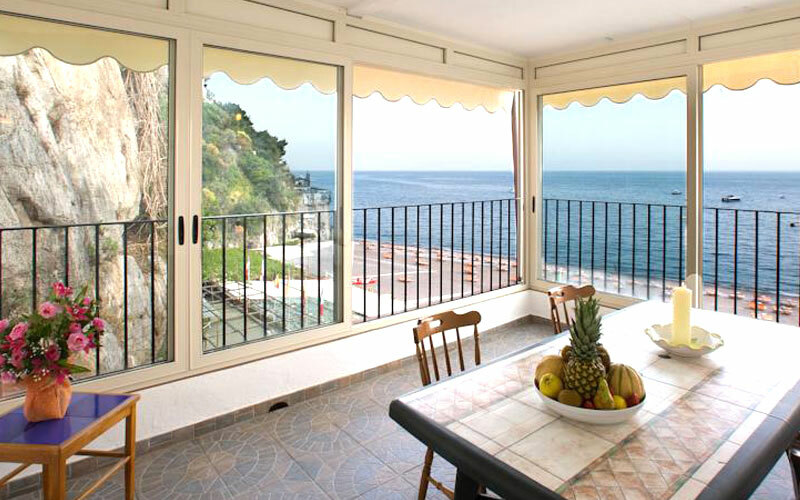 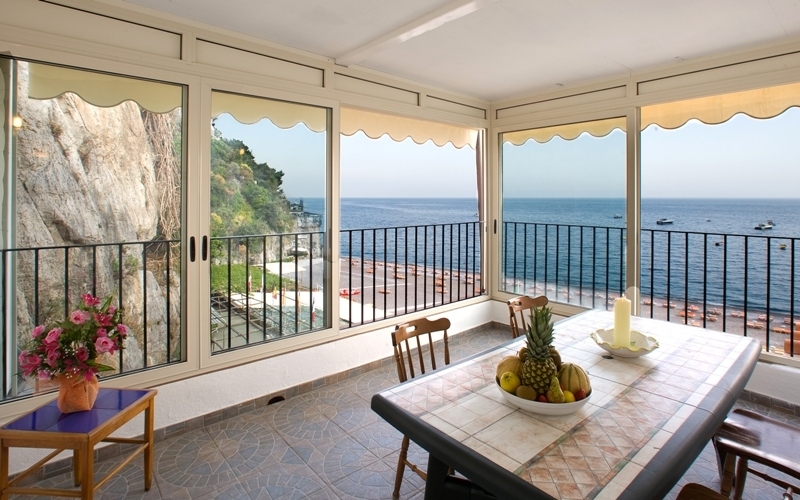 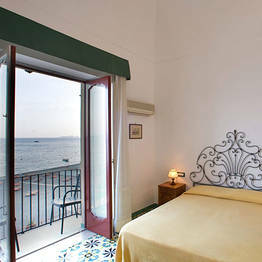 Li Galli and Vista apartments enjoy breathtakingly beautiful views of the sea. 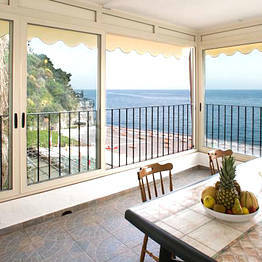 The Edera apartment looks directly onto the famous Spiaggia Grande. 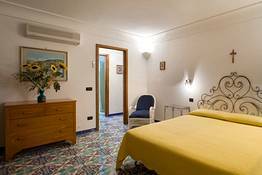 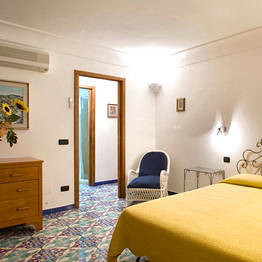 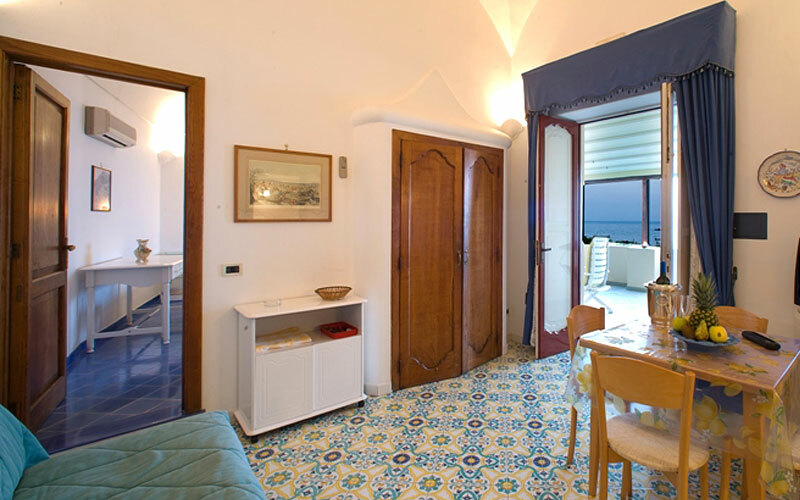 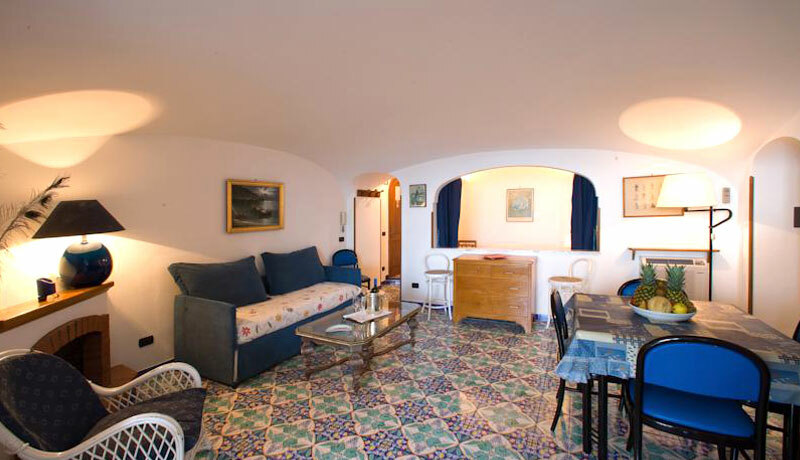 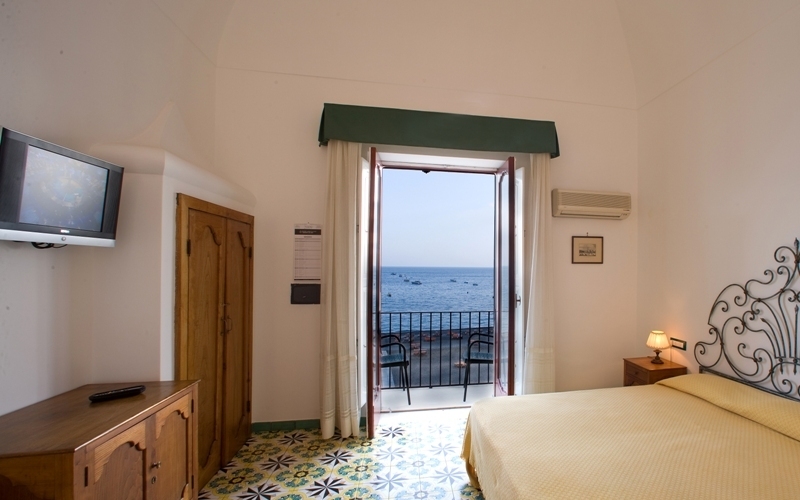 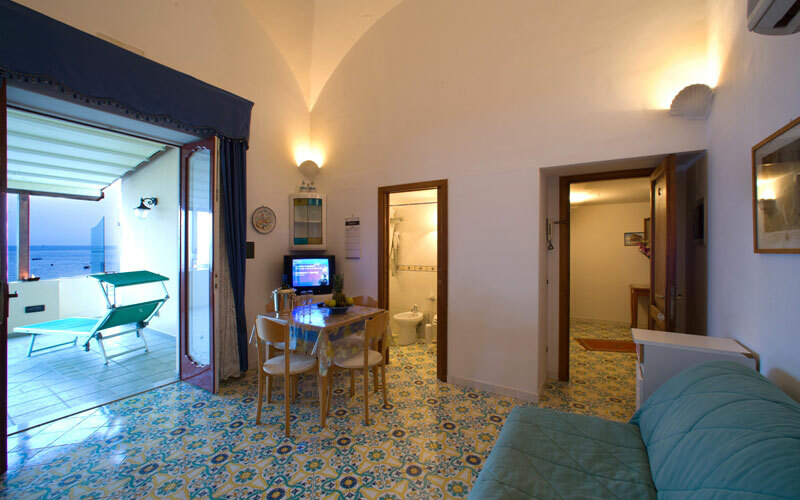 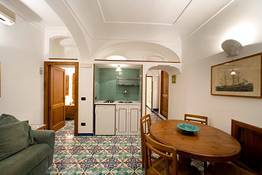 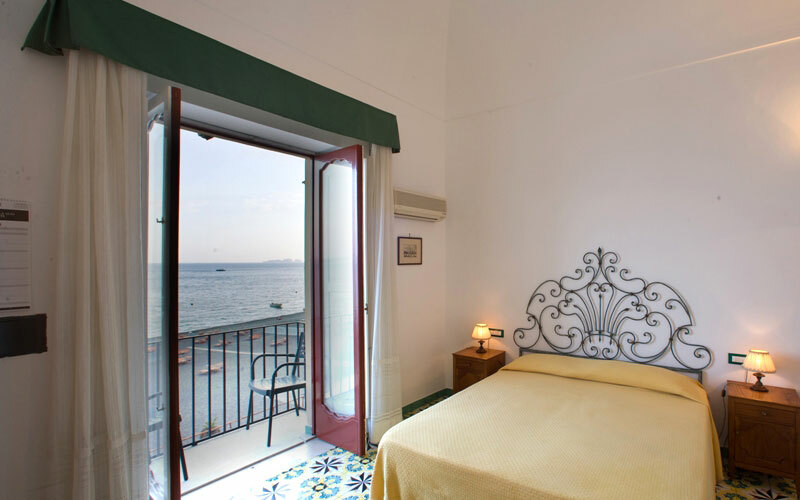 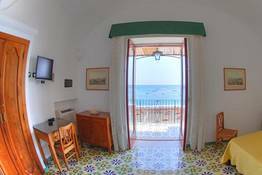 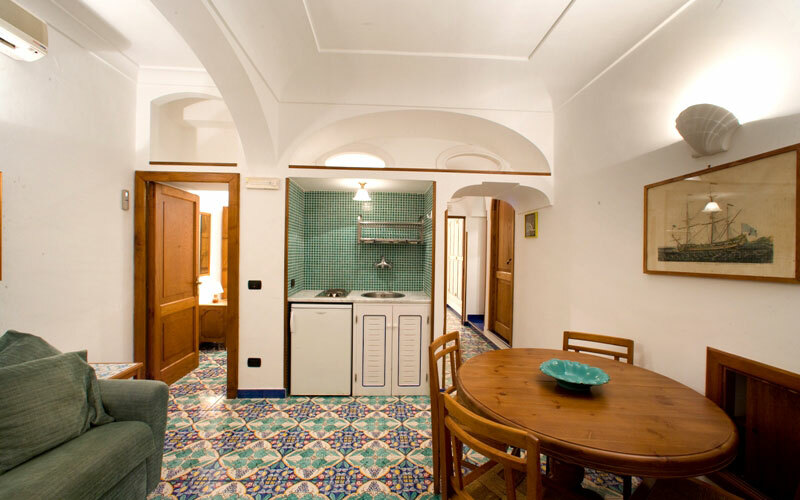 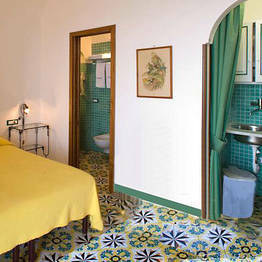 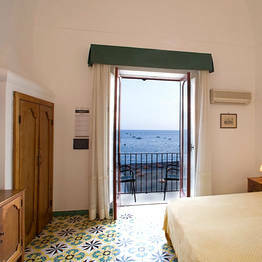 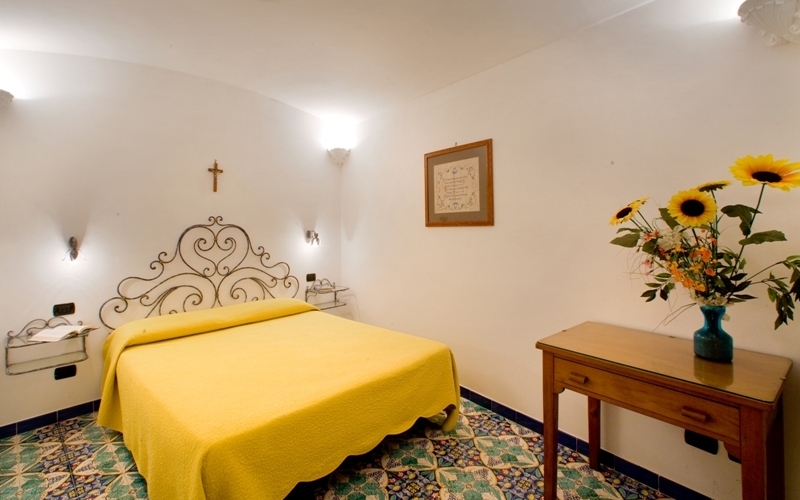 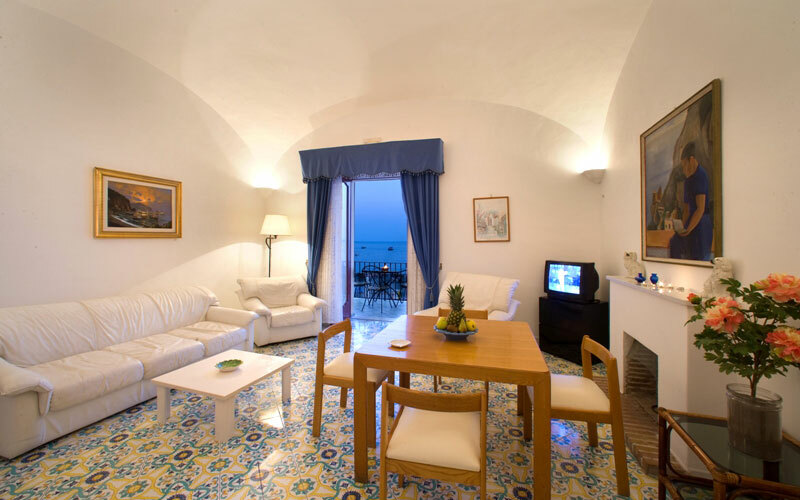 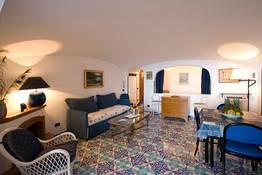 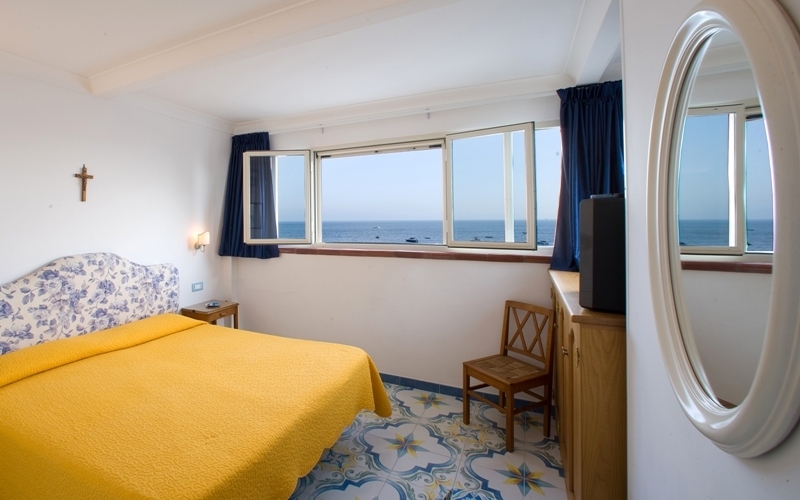 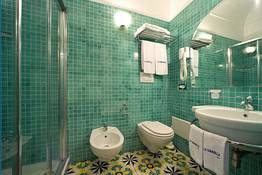 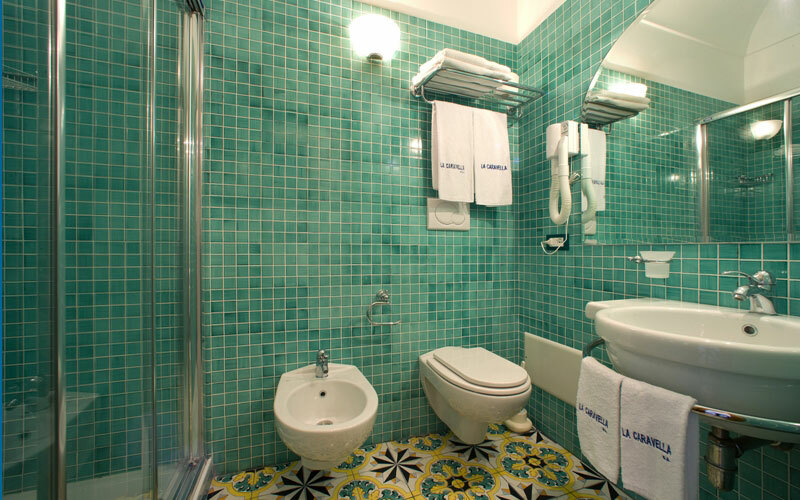 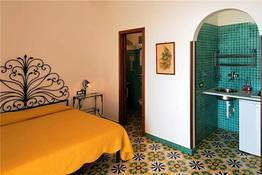 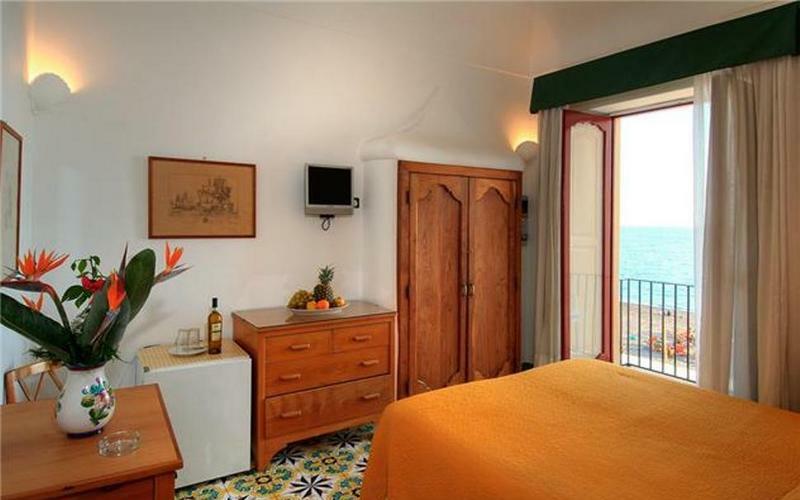 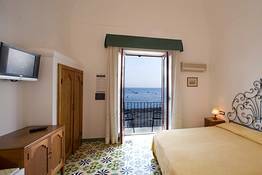 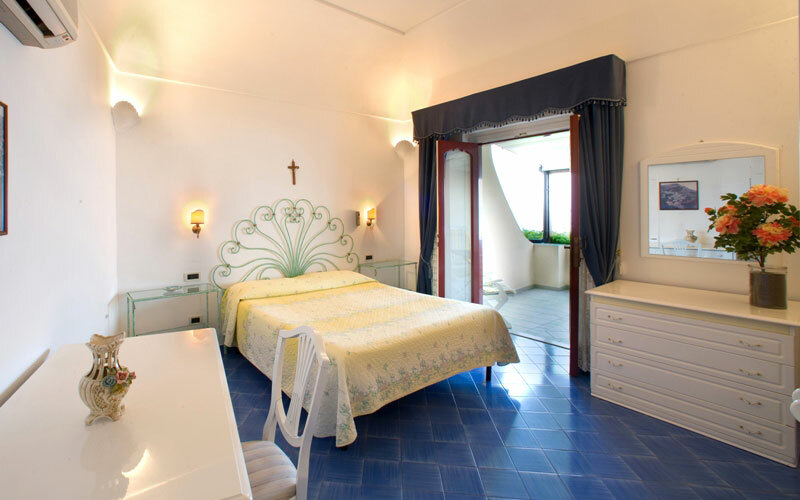 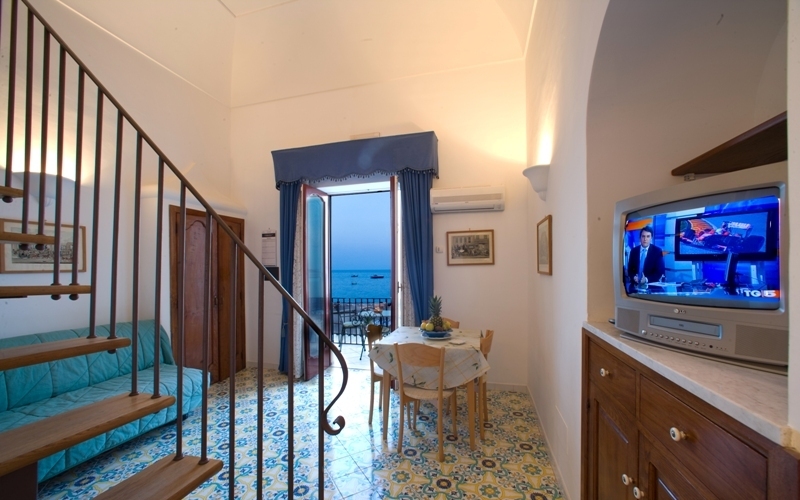 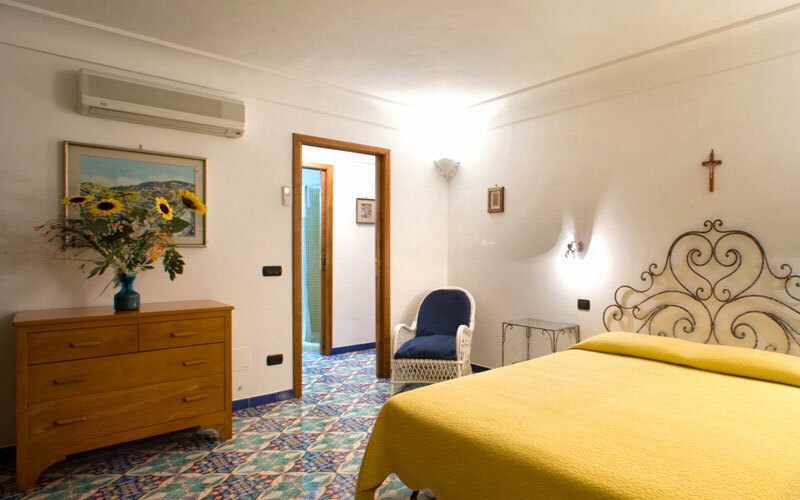 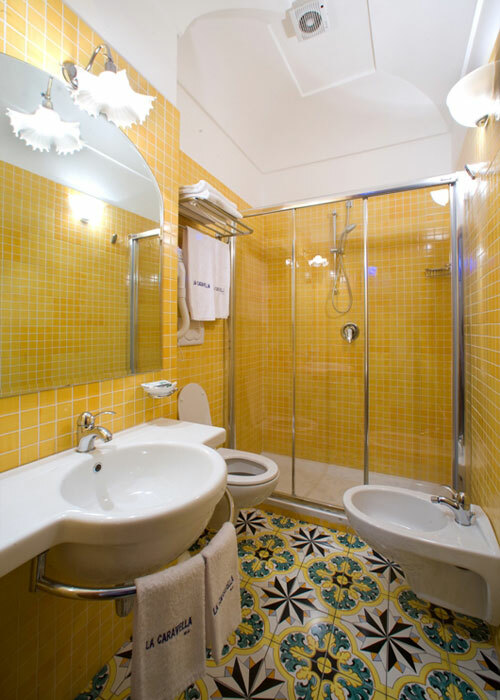 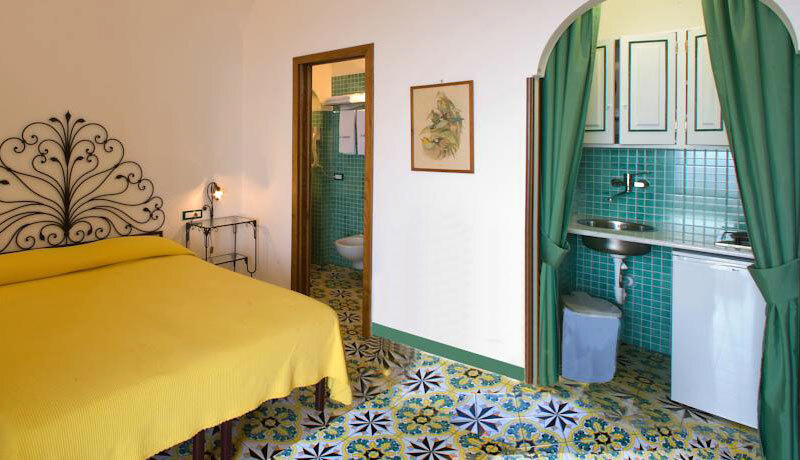 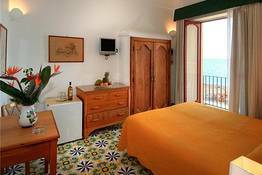 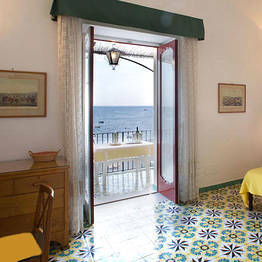 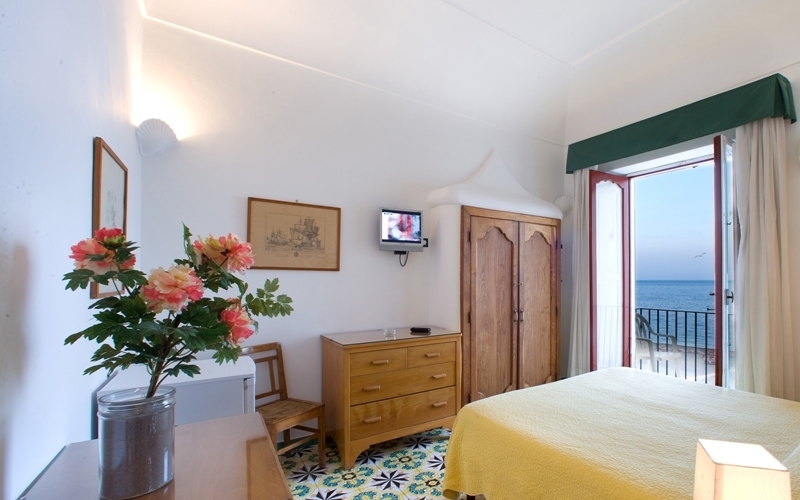 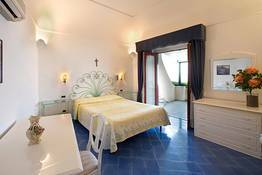 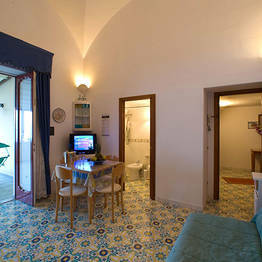 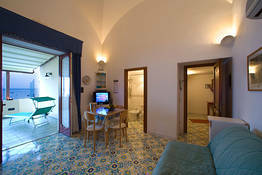 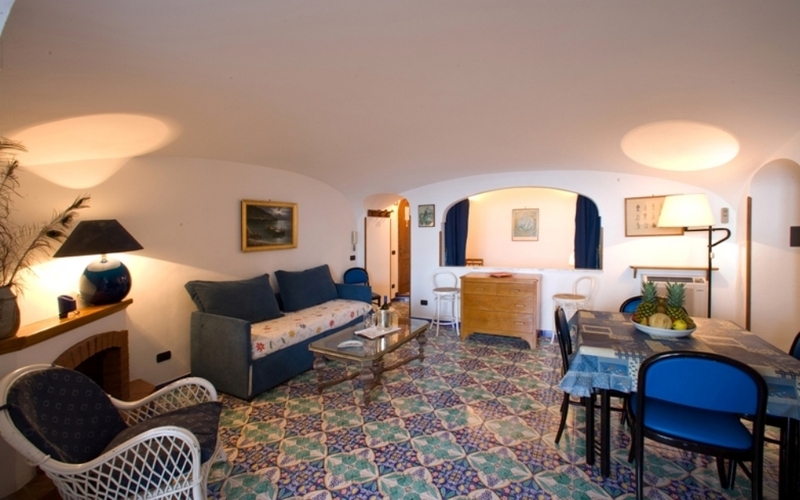 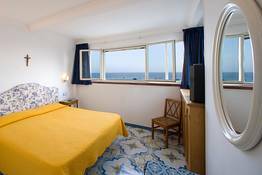 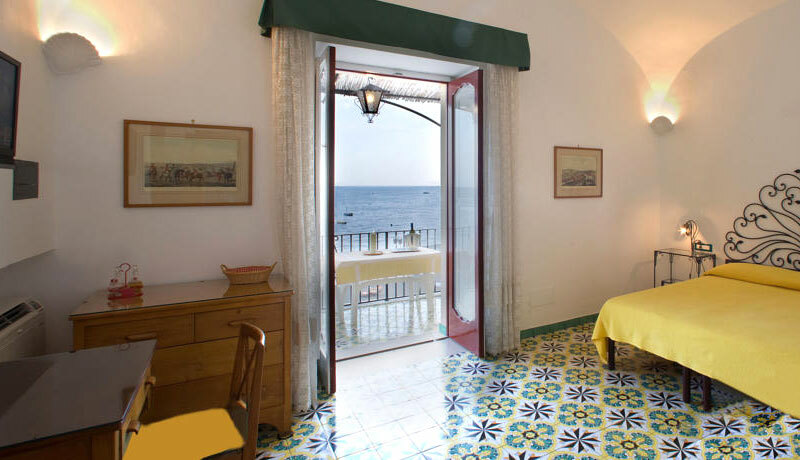 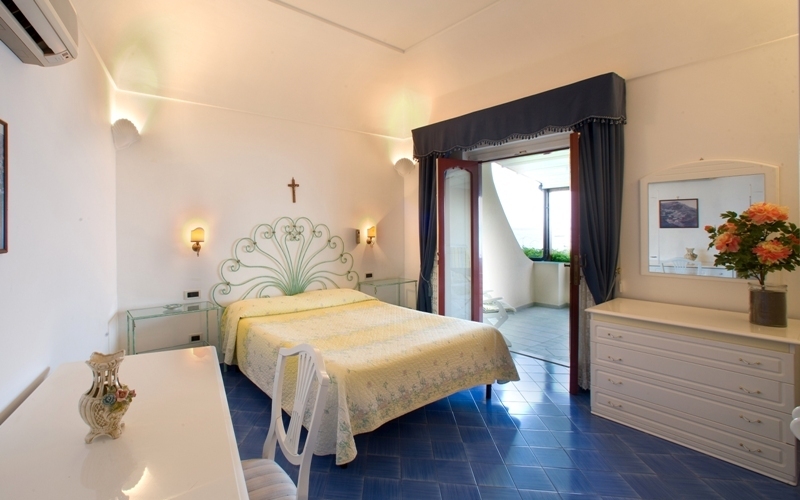 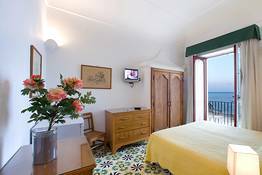 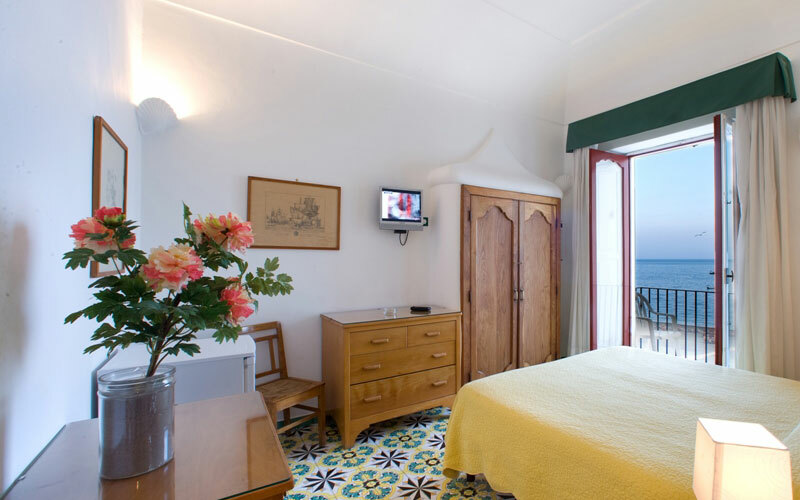 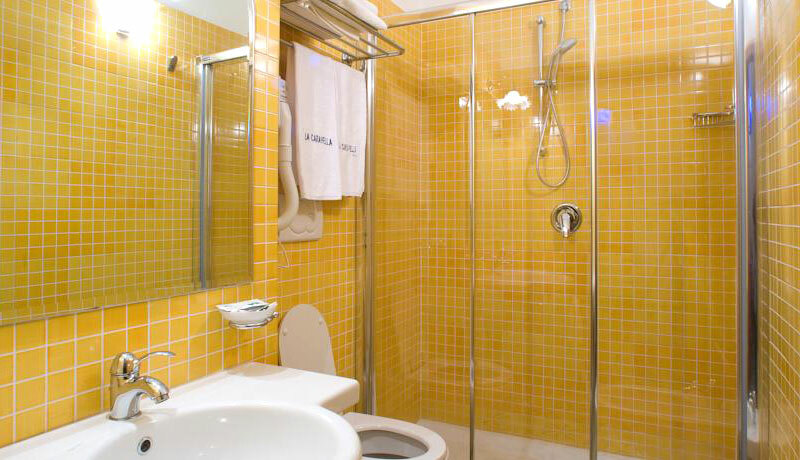 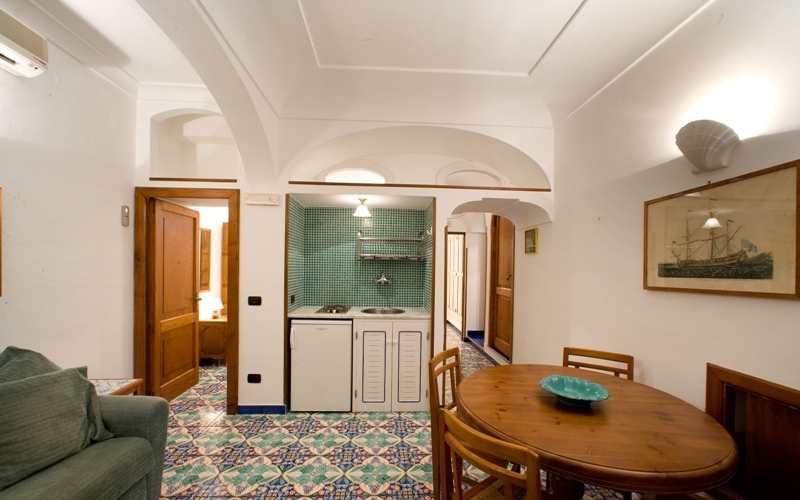 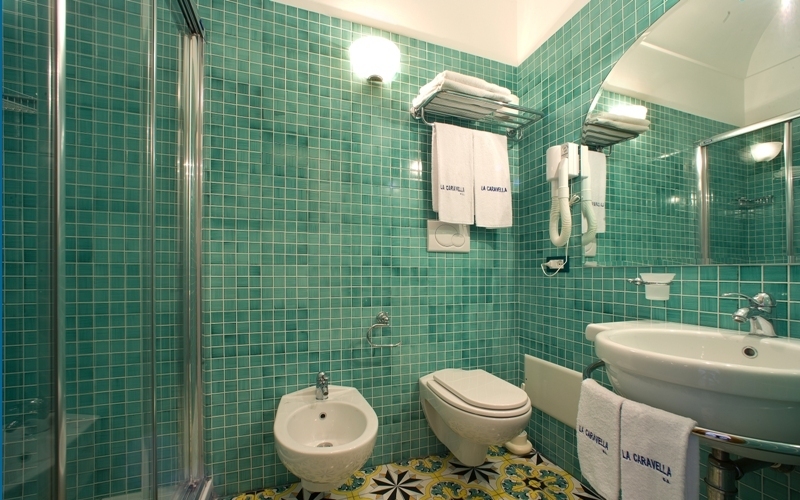 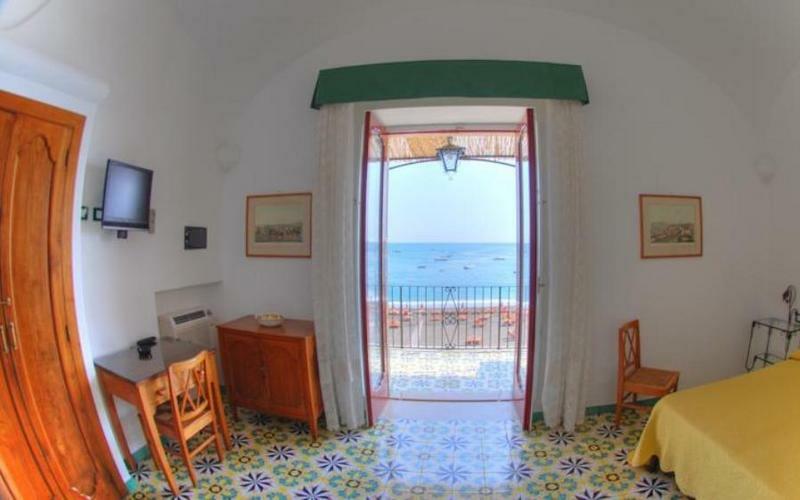 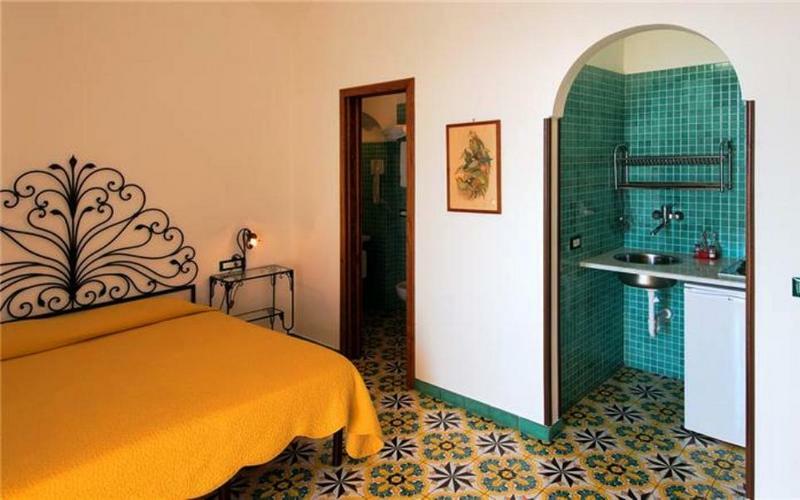 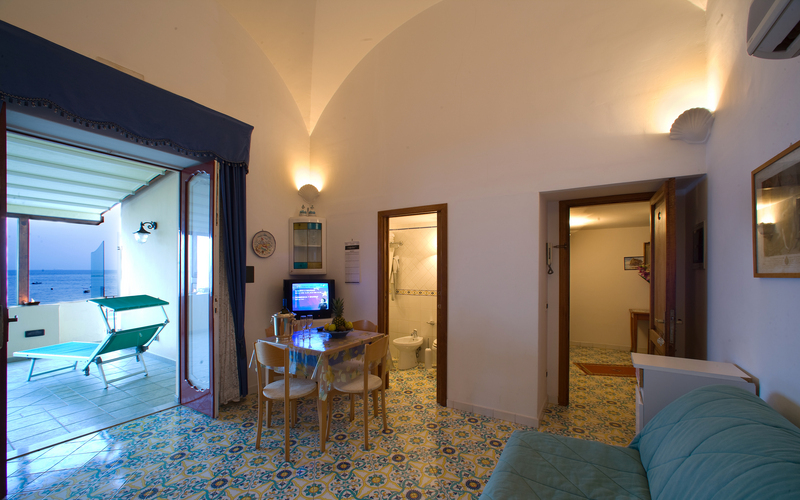 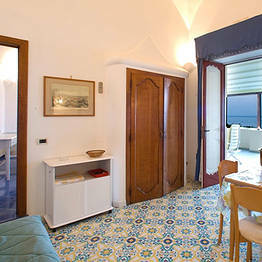 Decorated in classic Mediterranean style, all of Caravalla's sunny, light-filled apartments feature high ceilings, large windows and the brightly-painted majolica floor tiles typical of the Amalfi Coast. 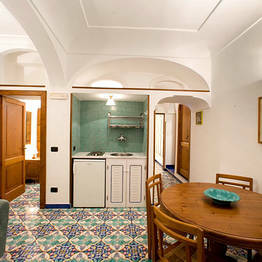 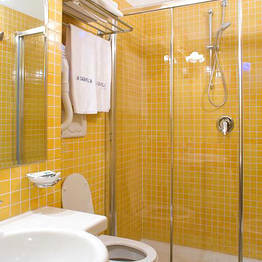 The largest apartments come complete with fully fitted kitchenette and sleep up to six people. 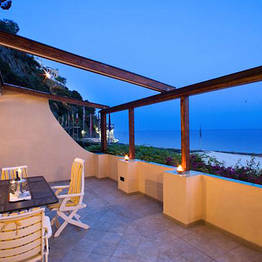 From the sea view terraces, guests gain access to a pretty little patch of private beach. The split-level Sole apartment has a living room with welcoming open fireplace too. 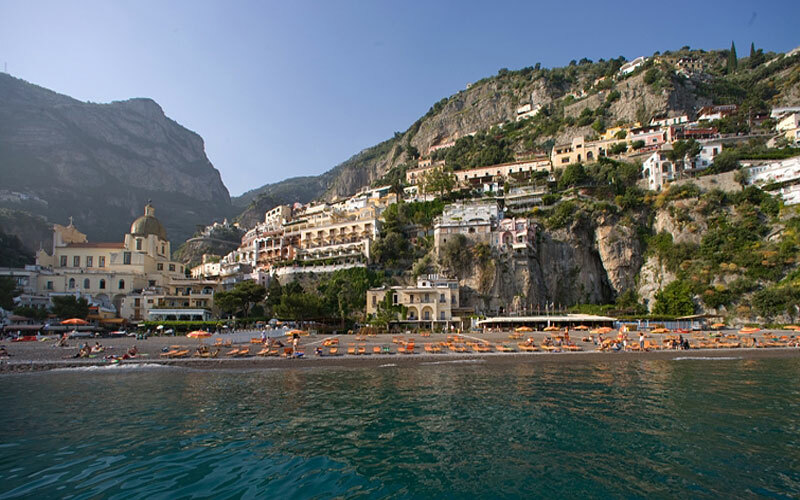 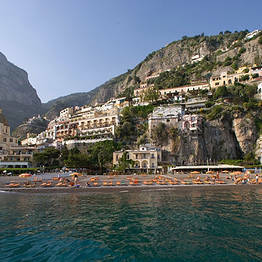 The great outdoors: the great Amalfi Coast! 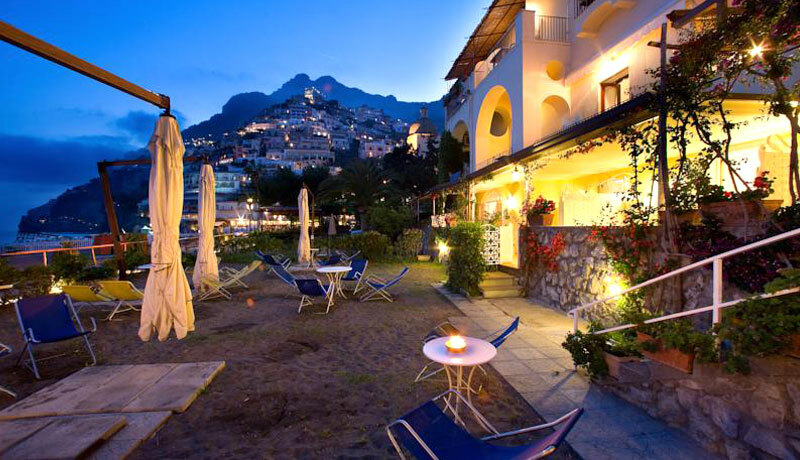 Whilst you might easily spend your entire vacation strolling through the picturesque lanes of the historic center or soaking up the sun on the town's Spiaggia Grande and Fornillo beach, Positano provides a great base from where to explore the other towns and villages dotted along Italy's Amalfi Coast too. 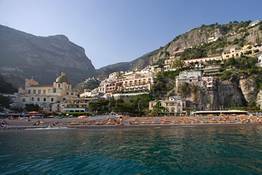 Walkers will want to make the hike up to Nocelle (a "mere" 1550 steps from Positano!) 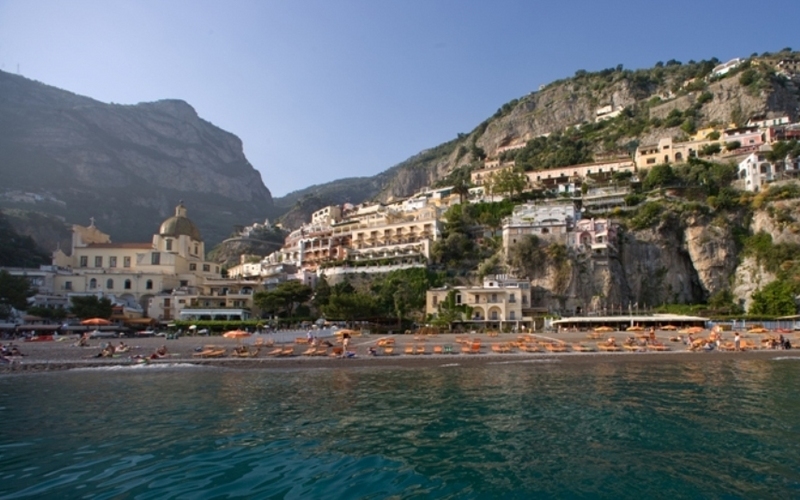 and the lovely little village of Montepertuso, immersed in the Lattari Mountains. 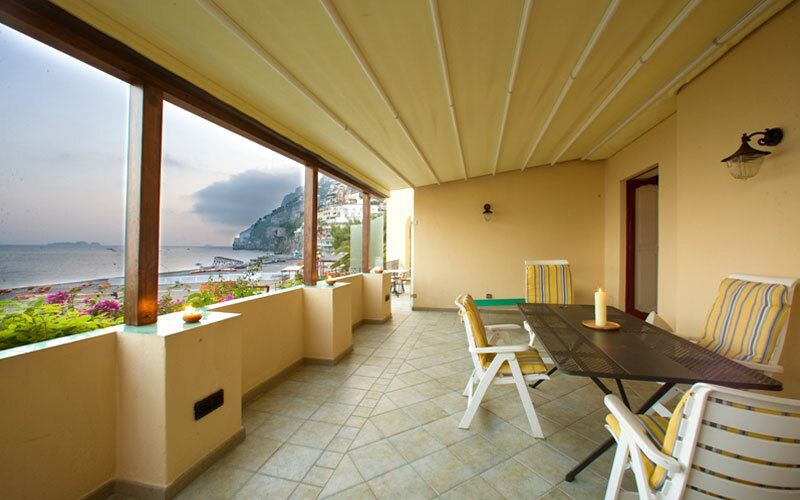 La Caravella offers its customers various services upon request and payment for make the stay even more relaxing and comfortable, such as 'Shuttle' to the airport, train station or port or excursions to the Amalfi Coast by land or on board a private boat! 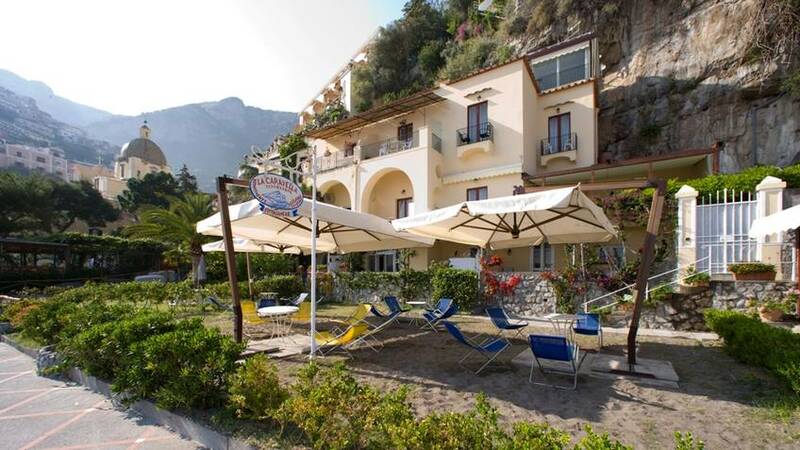 Ideal location for a beach holiday! 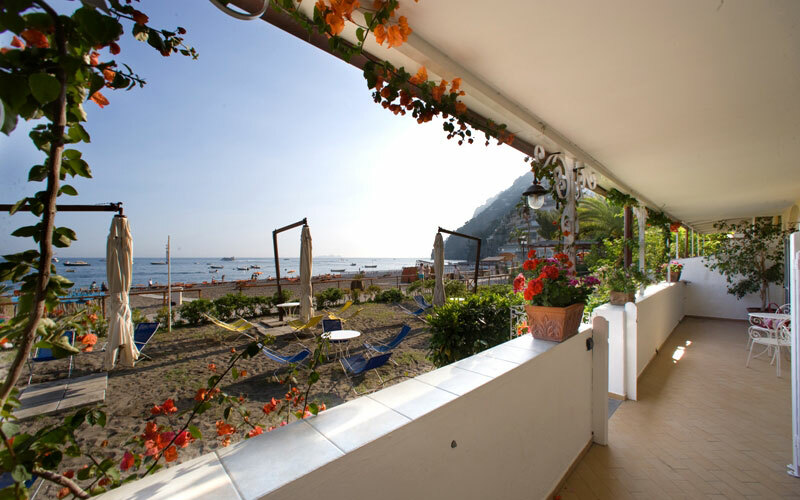 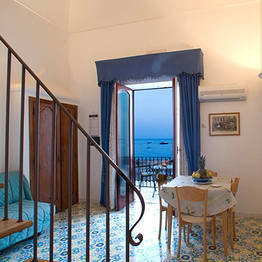 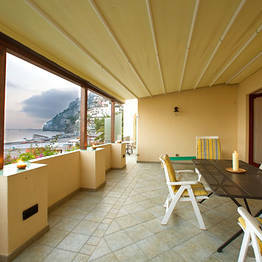 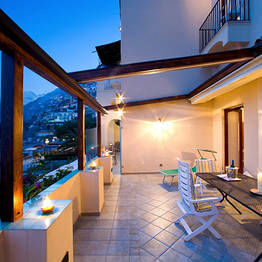 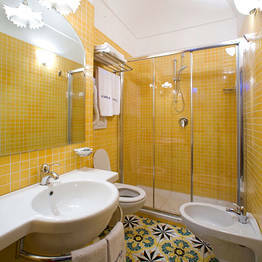 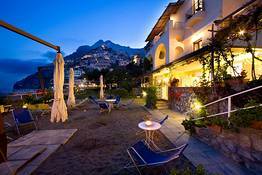 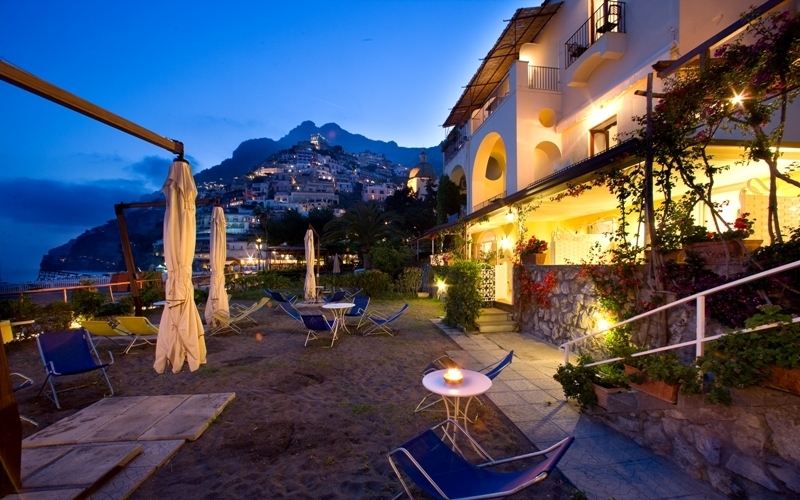 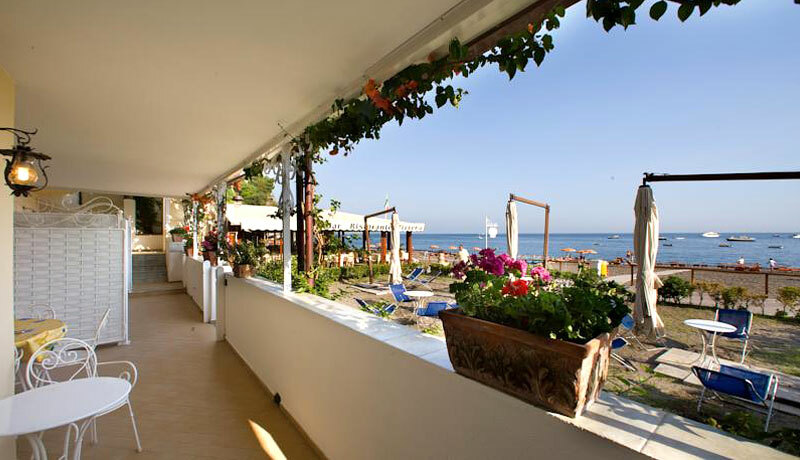 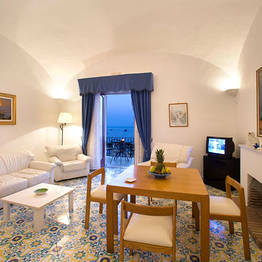 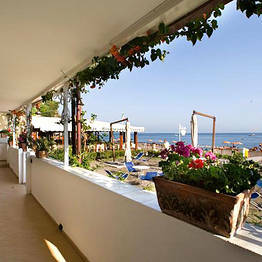 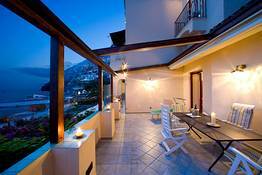 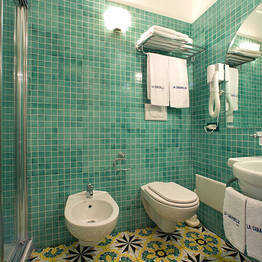 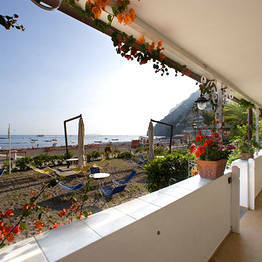 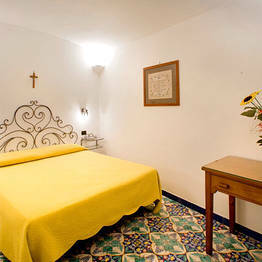 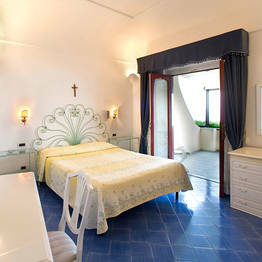 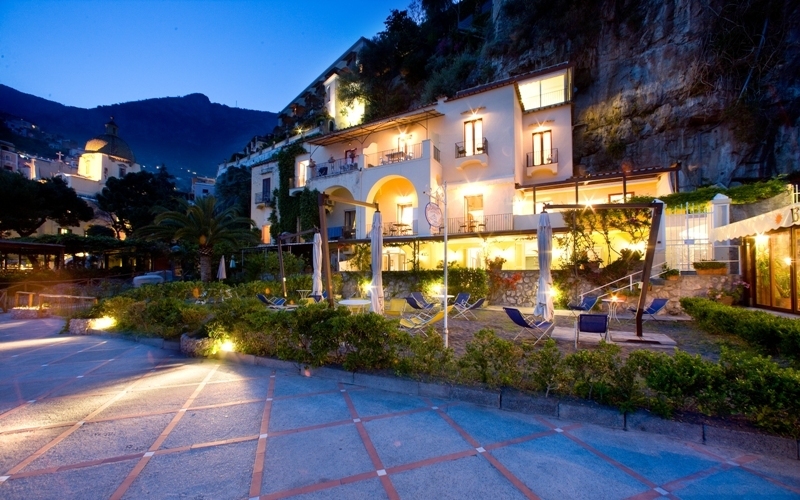 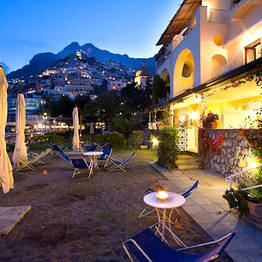 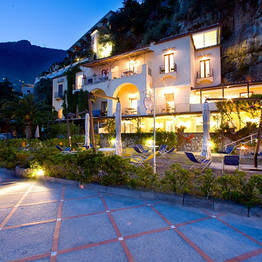 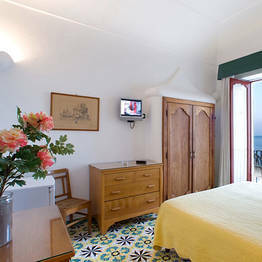 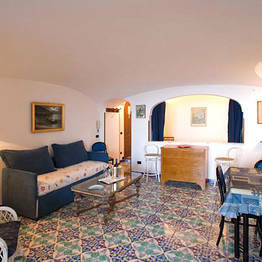 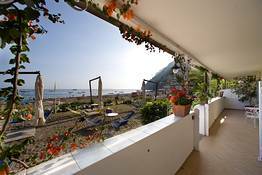 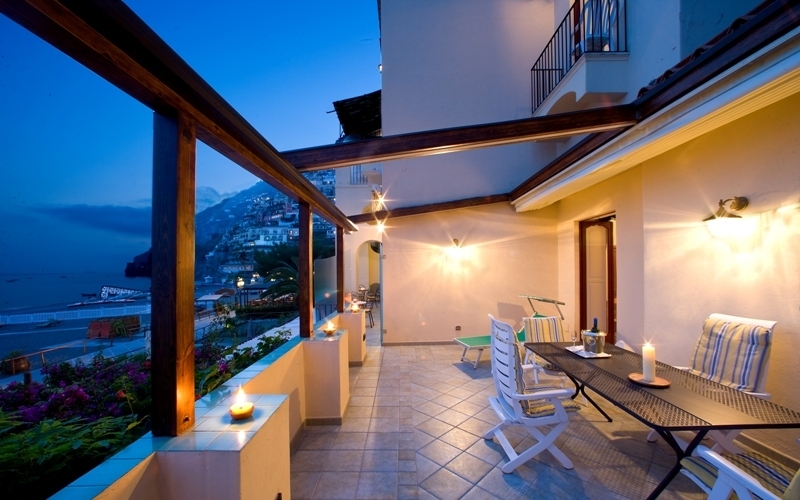 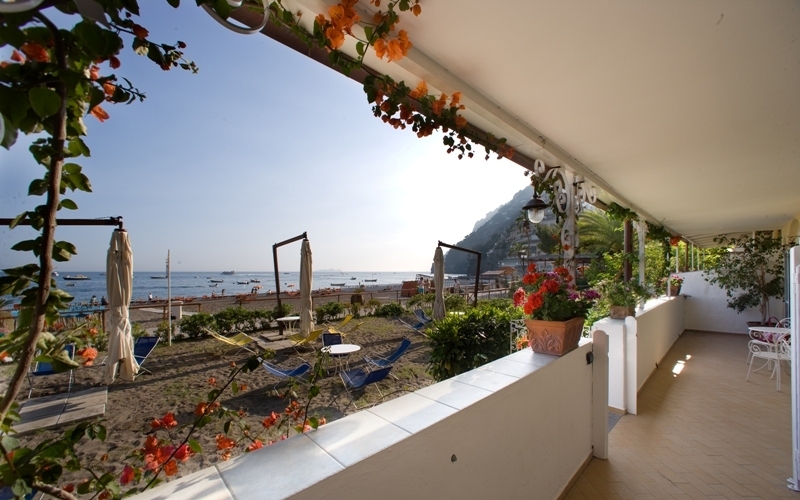 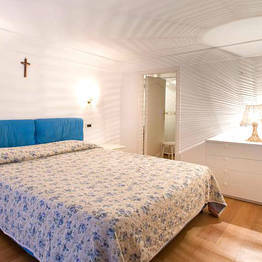 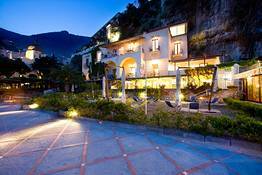 Book La Caravella Positano Beach on Positano.com now with no additional booking fees.